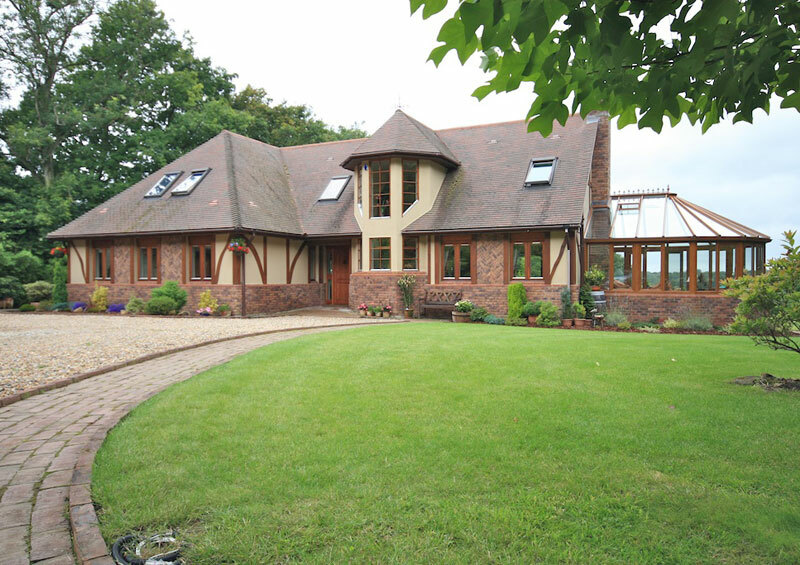 Building their ideal home was something Mr & Mrs Callaghan had dreamed of for some time. They spent many years trying to locate their ideal plot when they eventually stumbled across two! 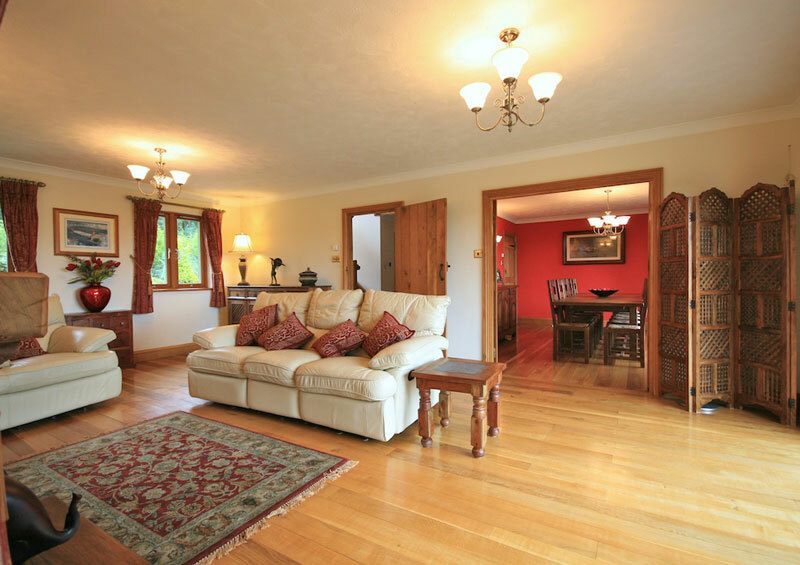 The Callaghans knew that to be able to react quickly to the right plot coming onto the market, they would need to be cash ready, which they were. Both plots were being sold as sealed bids so they placed a bid for the first plot but were unfortunately out-bid. They then placed a bid for the second plot only to find they were out-bid one again! Luckily for the Callaghans, the bid winner of the second plot pulled out of the purchase on exchange date and they were approached to see if they were still interested. They were and so the plot was sold to them in September 1998. 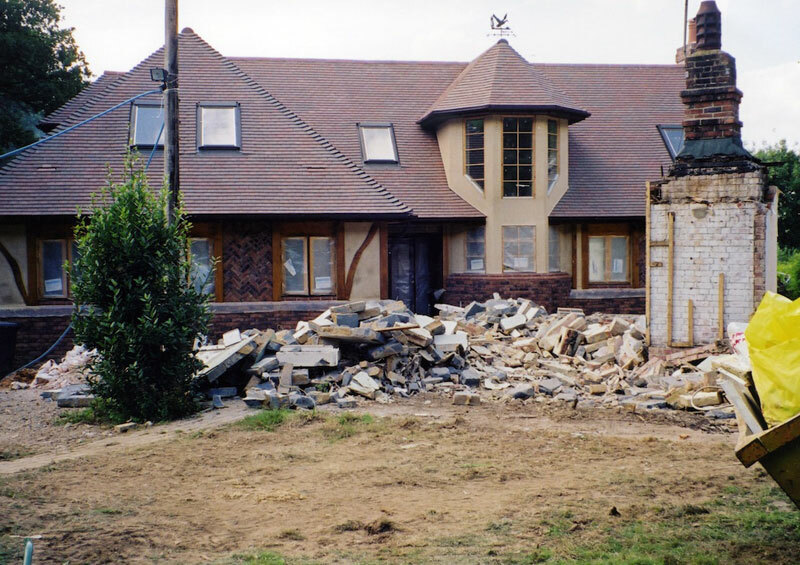 The plot already had a bungalow in situ which was habitable but their intention had always been to demolish the bungalow once they had built their dream home. 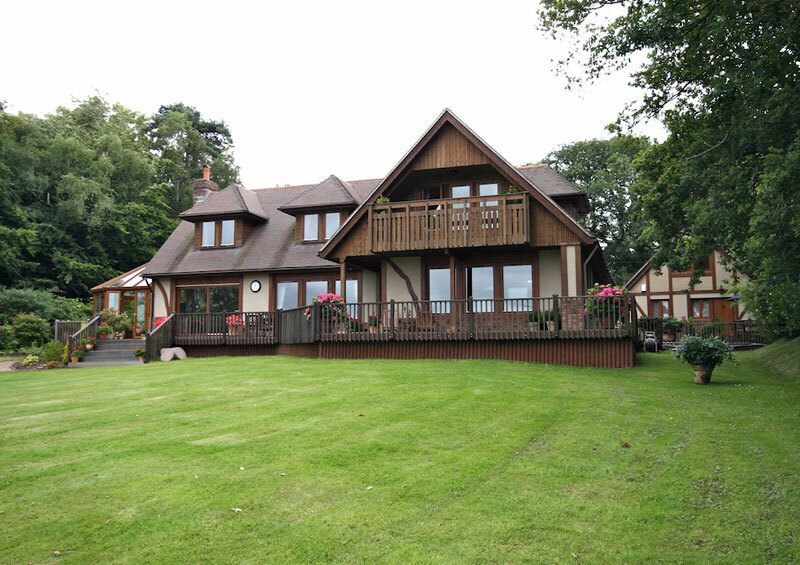 The plot already had outline planning permission for a huge, long bungalow. 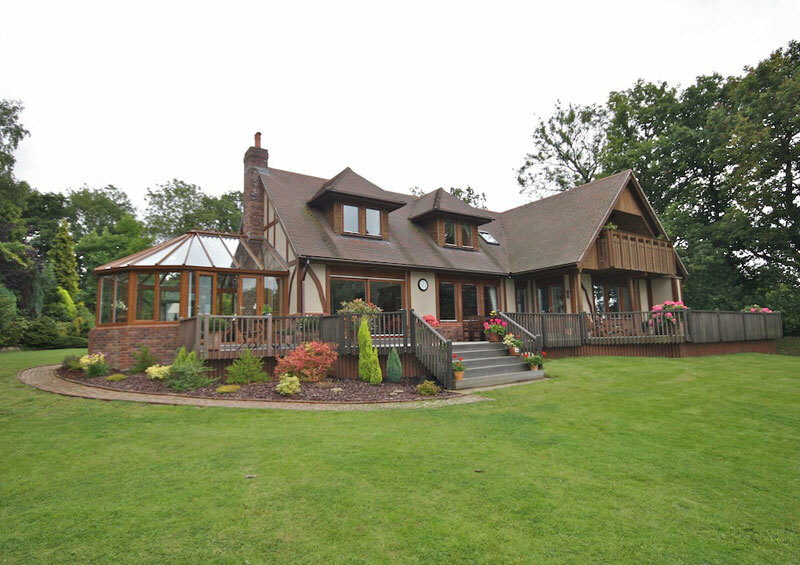 The plot was very large with substantial and stunning views over the Sussex countryside. In order to make the most of the views, the Callaghan’s were keen to build their dream of a 2-story house. 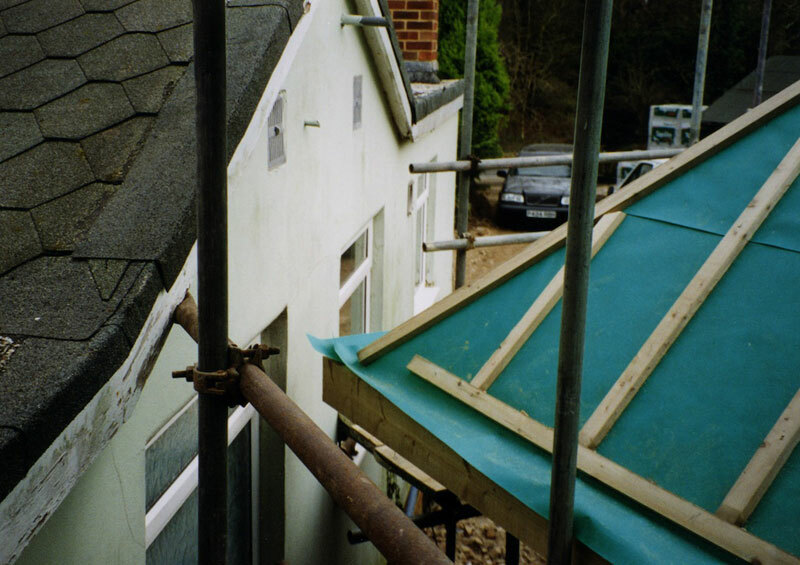 They knew it could be a problem getting permission for 2 storeys as the existing dwelling only had permission for a single storey home. 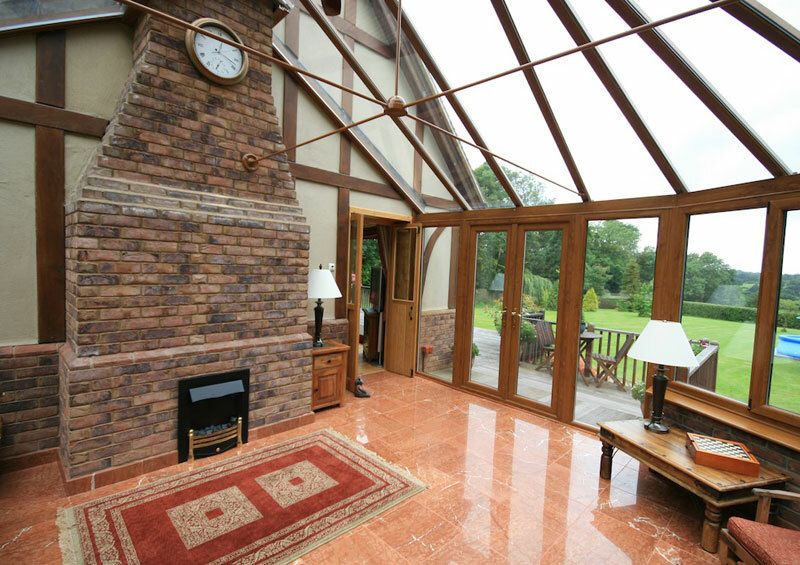 Mr Callaghan had already built an extension and conservatory on a previous property they owned, from which his self build bug started. He wanted to get involved as much as possible with the building of his new home but didn’t want to take control of the whole build. The Callaghans couldn’t quite decide on the design so, after a year of living in the bungalow, they asked Scandia-Hus to help them with their design and build. Being novices to such a massive project they chose Scandia because they knew they would hold their hands all the way . Having looked through some standard designs, the Callaghan’s were taken with the style of the Linden property, but knew that they would like to make some changes for the property to reflect their lifestyle. They loved the inside accommodation but didn’t feel the outside was exactly what they were after. They loved the tower and the plinth walls so wanted those elements to be included in the final design. Some of the tweaks they made included moving the balcony from the front to the rear of the property and making it larger to engulf the panoramic views of the countryside. They also wanted it to be larger than the standard Linden design and so increased the floor space by 20%. Various small internal changes were also made to the standard design to give the internal space and layout they desired. As they were having five bedrooms and do a lot of entertaining, they decided to give each bedroom its own en-suite bathroom for when guests come to stay. 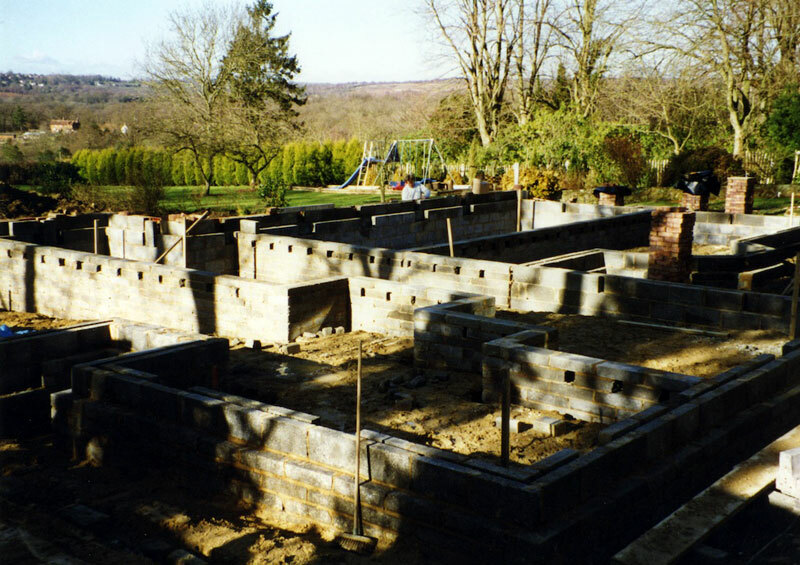 The build began on January 3rd 2003. 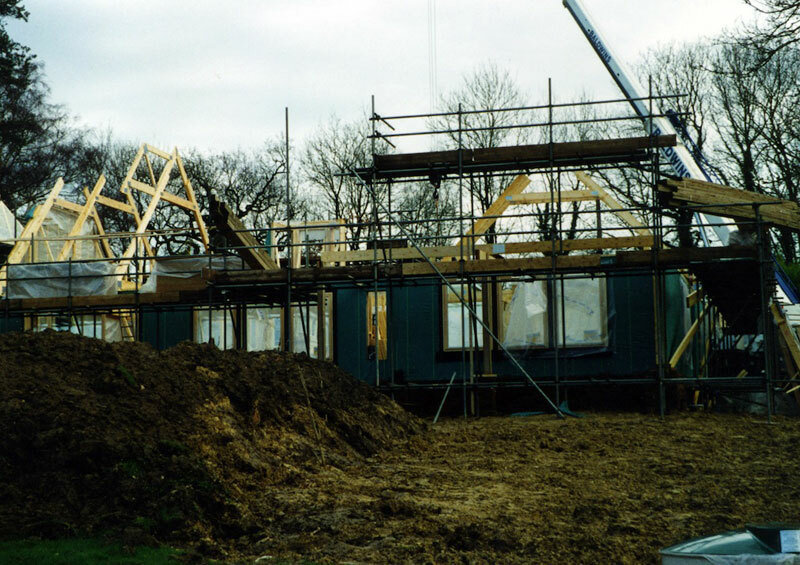 Mrs Callaghan recalls: ‘The shell was erected and watertight within 6 days, and that included a 1 day delay due to high winds!” The building proceeded apace through 2003 and they moved in at the end of September. The couple wanted to undertake as much of the work they could themselves in order to save as much money as was reasonably achievable. Richard decided to take on the incredibly arduous task of tiling every bathroom himself! In fact, they completed many of the internal fixtures and fittings themselves. Such was Richard’s desire to be fully involved that he even moved the 4,000 concrete blocks required by himself! He remembers feeling very fit by the time they finished! 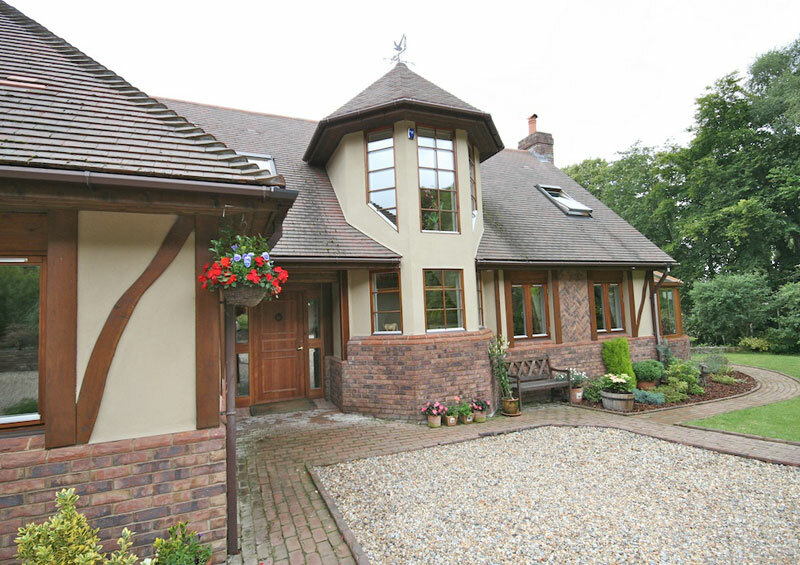 Richard laboured with the builders throughout the construction, a job he thoroughly enjoyed. “I learnt so much by being a part of the process and I felt much more involved with the build”, Richard advised. “We could have moved in sooner but we didn’t want to put ourselves under unnecessary pressure. 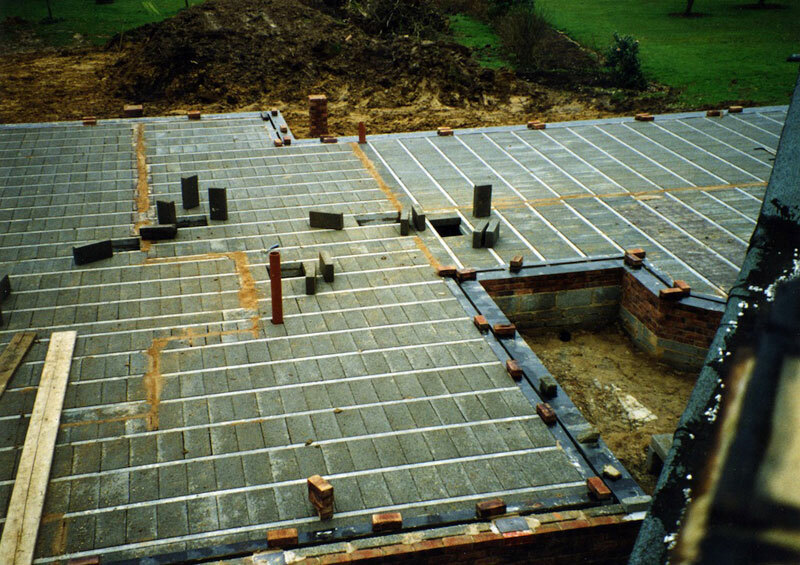 We had a property to live in on the site so felt we could take our time”. At one point, the distance between the new home and the bungalow was a mere 4”!!! The Callaghan’s couldn’t believe the precision in the measurements. The Callaghan’s very cleverly shopped around to get the best prices for fixtures without compromising the quality in any way, using dutch bricks, Italian tiles, oak flooring and so on. 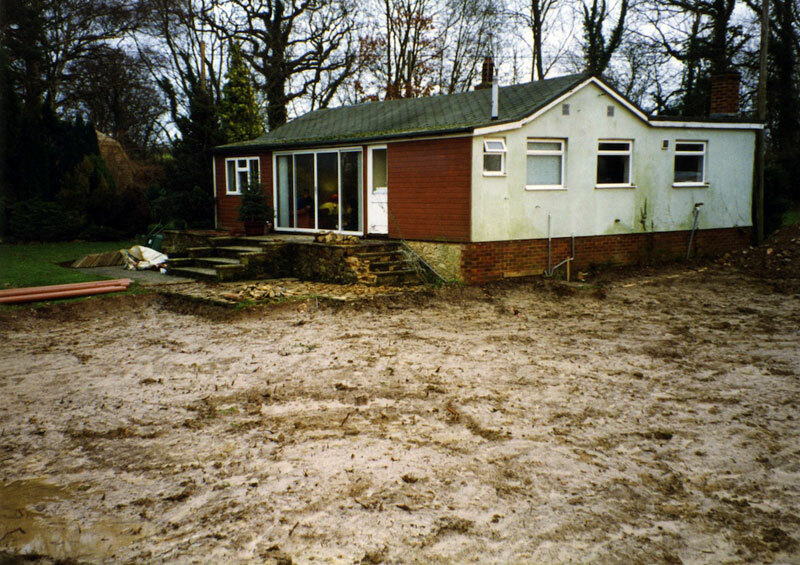 Shortly after moving into their new home they demolished the original bungalow, clearing a huge space at the front of the property. 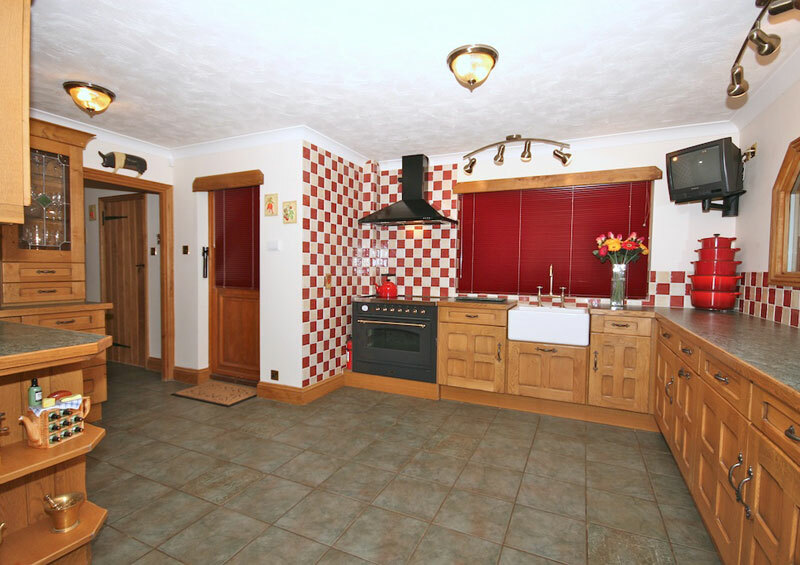 The couple have continued to add to the property since moving in, adding a conservatory and a large double garage. 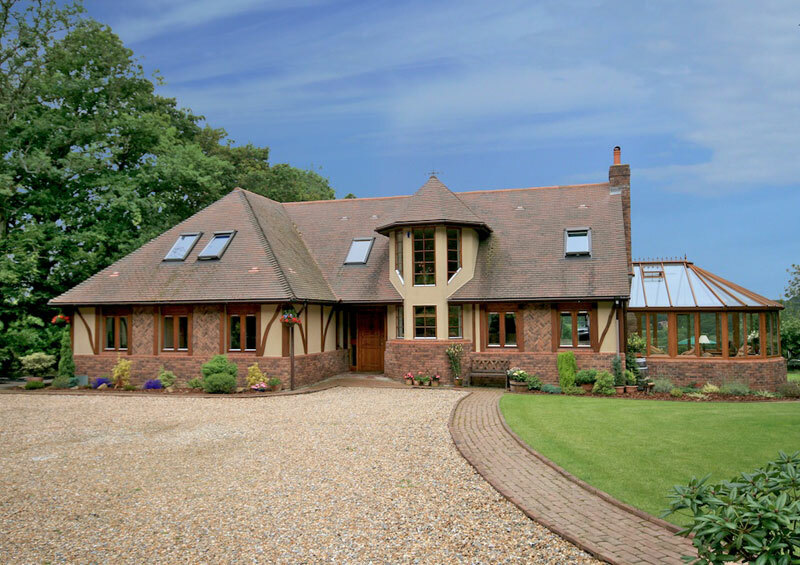 The end result is a beautiful family home nestled in the stunning Sussex countryside. The downstairs accommodation comprises a conservatory, dining room, living room, kitchen, family room, utility room and study. 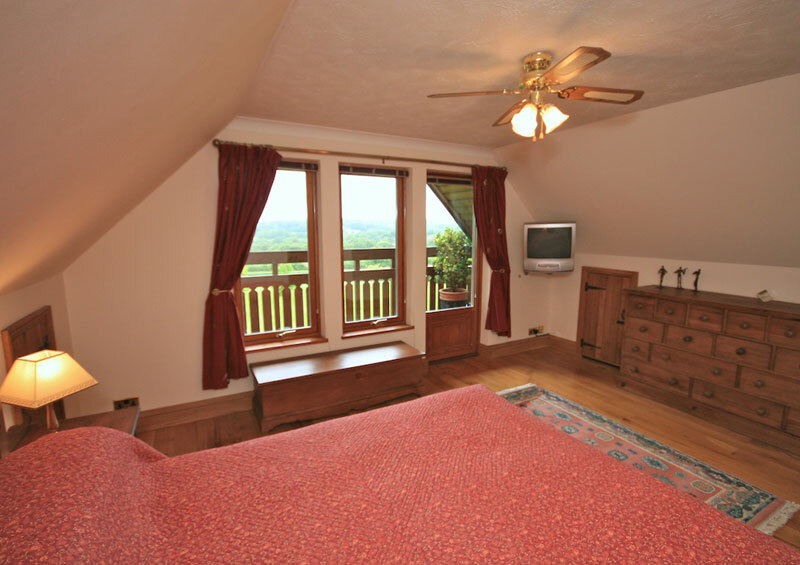 Every room in the house takes advantage of the view from the property. A glass window was even placed between the kitchen and the family/play room so that the vista wasn’t compromised from any angle. The stairway has been cleverly nestled within the striking tower, leading to the first floor. The five large bedrooms, all en-suite, take advantage of the spectacular views with the master bedroom benefiting from the balcony. 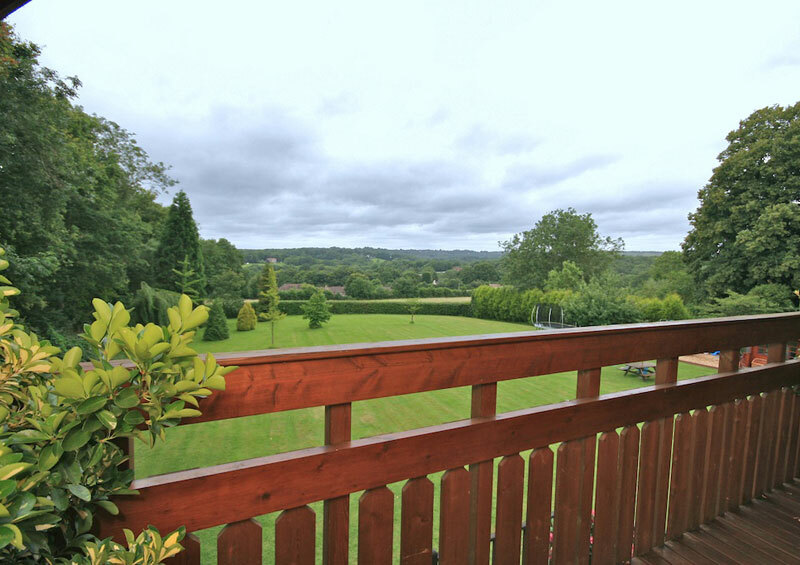 The Callaghans are very happy in their home and feel incredibly proud of their achievement – so much so that they would relish the opportunity to do it all again and have already started looking for another plot. 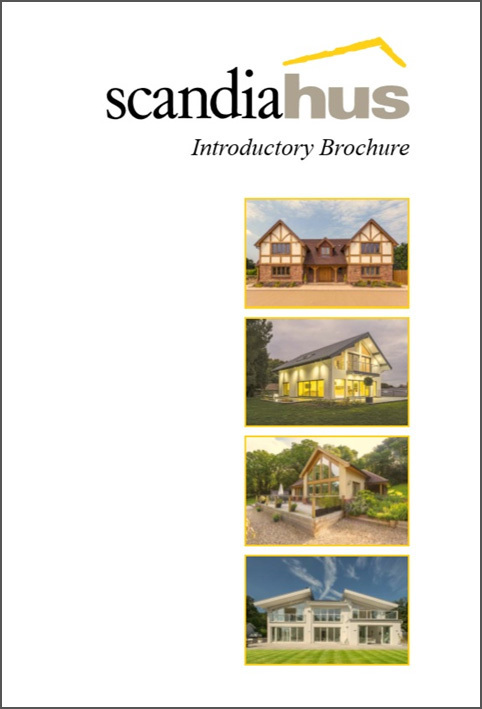 Would they use Scandia-Hus again? “Absolutely” they both agree. “They held our hands throughout, ironed out any problems we encountered and gave us complete confidence in their approach”.